Home Issues	Identity Theft: Should Full Social Security Numbers Not be Mailed? Identity Theft: Should Full Social Security Numbers Not be Mailed? This bill would prohibit the Social Security Administration (SSA) from sending any documents that include a complete Social Security Number by mail unless it’s necessary. It would seek to reduce the number of opportunities for a person’s identity to be stolen because their full Social Security Number (SSN) was included in mail they received. The Commissioner of the SSA would provide Congress with a report detailing which of the agency’s documents have a full SSN on them, when the documents were last updated, and when the number can be partially removed unless the full SSN is deemed necessary. This report would be due twice annually for each of the first six years after this bill’s enactment. People receiving mail that might’ve contained their full Social Security Number; Congress; and the Social Security Administration. The CBO estimates that enacting this bill would have no effect on the budget. In-Depth: Sponsoring Rep. Sam Johnson (R-TX) introduced this bill in response to a report done by the SSA’s Inspector General which found that in 2015 the agency mailed about 352 million notices — 233 million (or 66 percent) of which included the recipient’s full Social Security number (SSN). The report also found that the more frequently full SSNs are used the higher the probability they may be stolen and used to commit crimes. 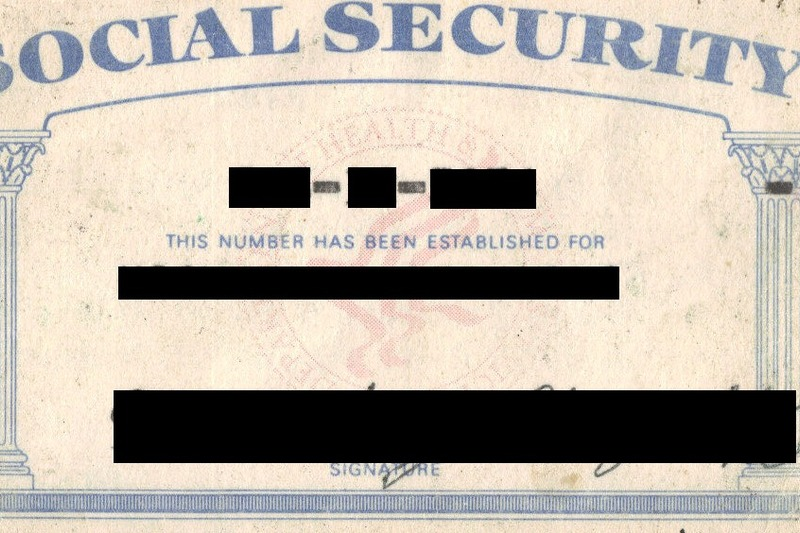 The Office of Management and Budget (OMB) requested that federal agencies guard against the unnecessary use of full SSNs in 2007 to protect personal information. This legislation passed the House Ways and Means Committee on a voice vote, and it currently has the support of 23 cosponsors — including 21 Republicans and two Democrats. Should Municipal Bonds be Considered High Quality Assets to Encourage Investment? Should the Three-Year Depreciation Schedule for Race Horses be Permanent? Should Funding be Renewed Automatically to Prevent Gov’t Shutdowns and Slightly Reduced if Congress Doesn’t Act? Does TSA Need to Follow its Screening Process for Parents Traveling With Baby Formula or Breast Milk? Should Federal Agencies Use Remanufactured Auto Parts to Save Money? Should Private Sector Workers Get the Choice of Comp Time Instead of Overtime?